You are currently browsing the tag archive for the ‘Swimming Pools’ tag. What if you could invest in something that can improve your home’s value while contributing to your physical and mental well being by creating a vacationing paradise in your own backyard? That is exactly what Mike Viruso added to his Huntersville home in 2006, recouping his investment when his home sold in April, even in today’s chaotic economy and real-estate market. Mike can’t say enough good things about his decision to work with Pool by Design. Initially, the Viruso family added the pool upon seeing an Urban Home article highlighting former Bank of America CEO Ken Lewis’ home and pool installed by Pool by Design. Click here to view the entire article or visit Urban Home Magazine’s website to learn more about Pool by Design. For more information on Pool by Design visit www.poolbydesign.com or stop by 217 Fairwood Avenue. You can 704-333-7446 (704-3DESIGN). We’re all doing it – many homeowners are retreating into their outdoor living areas as opposed to spending money on traveling these days. Nesting at home in a warm, inviting environment with family and friends has become typical for many reasons: Cost savings; convenience with 24/7 access to your own peaceful or lively sanctuary, depending on whether a pool party is in full swing or you’re having a quiet dinner by that same pool; comfort right outside your back door; and of course, the future home resale increase you garner from a beautiful outdoor space. Pools, spas, waterfalls, water features, outdoor fireplaces, kitchens, gas and wood-burning fire pits – you name it; Blue Haven does it. In addition, through partnerships they handle your landscaping, fencing, irrigation, and pool-house construction – with Blue Haven serving as your point person for all enhancements. Click here to view the entire article or visit Urban Home Magazine’s website to learn more about Blue Haven Pools and Spas. 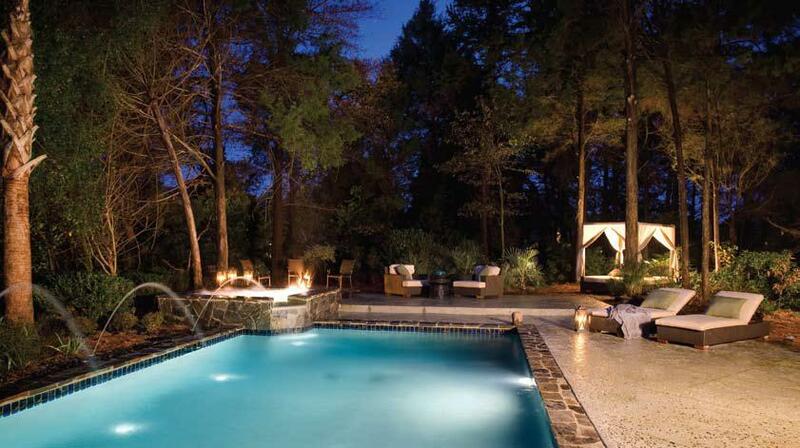 For more information on Blue Haven Pools and Spas, call 704-889-1300 or email laylward@bluehavennc.com. You can also visit www.bluehaven.com/charlotte. High on the list of priorities for house hunters is square footage. But getting the most livable space for the dollar might mean looking outside of your four walls. After moving into her brick and stone home in Weddington, N.C., Linda Nugent found her backyard was being underutilized. “It was completely wasted space,” she relates. “We had a backyard veranda, but we never used it.” A referral from a pool contractor led her to Tony Everett, president of Custom Land Design based in Charlotte. 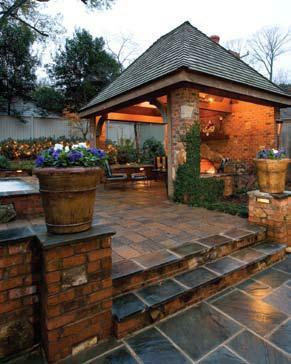 Specializing in integrating landscapes and hardscapes, the company has experience designing outdoor rooms. 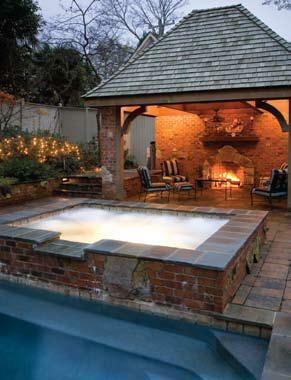 Once the spa and pool were installed, Nugent wanted a poolhouse, fireplace and outdoor kitchen to complete the space. “We had a general notion of what we wanted, but Tony took our thoughts and pictures and gave us advice and additional ideas before coming up with a design,” she says. Click here to view the entire article or visit Urban Home Magazine’s website to learn more about Custom Land Design. For a free estimate contact Custom Land Design at 704-201-0917 or at cldesigners@yahoo.com. 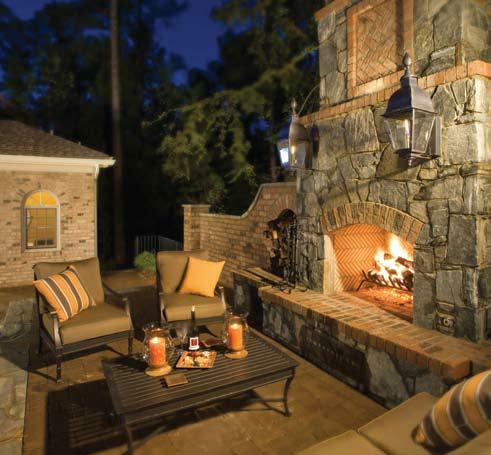 Winter in the South means a few moderately cold days but doesn’t halt year-round outdoor enjoyment if you have the right backyard setup for entertaining and relaxing. When Larry Osier decided to double the size of his home, he chose his unused backyard for the addition in part because of the temperate North Carolina climate. Click here to view the entire article or visit Urban Home Magazine’s website to learn more about Bigger’s Lawn and Landscape. Biggers Lawn & Landscape can be reached by calling 704-888-4789 or online at www.biggerslandscape.com. a lot of trees or space,” he says. 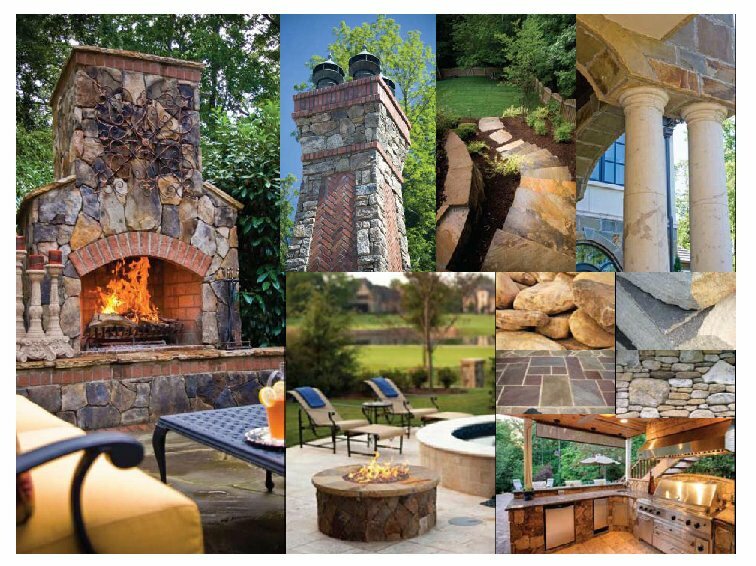 by Design, a Charlotte-based company that provides full-service hardscape design and installation for outdoor living spaces. 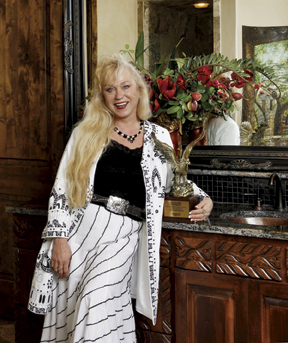 Pool by Design is your total outdoor living specialist. To find out how they can design and maintain a custom backyard retreat for you, call 704-3DESIGN (333-7446) or visit www.poolbydesign.com. The time has come – or actually returned – to add the decadent beauty of natural stone back into landscapes and home interiors. Thanks to competitive prices and improved scheduling, many alternatives and variations of stone exist for homeowners to choose from, including precast and natural stone. We’ve turned to some of Charlotte’s foremost stonemasons and suppliers to cover the gamut of info from applications of real stone to colors to permanence and everything in-between. This is a savvy-consumer primer, making your home stone decisions more clear-cut. There’s something about a crackling fire that brings people together and makes everyone feel warmer – body and soul. Today you don’t have to limit fireside chats to your living room. 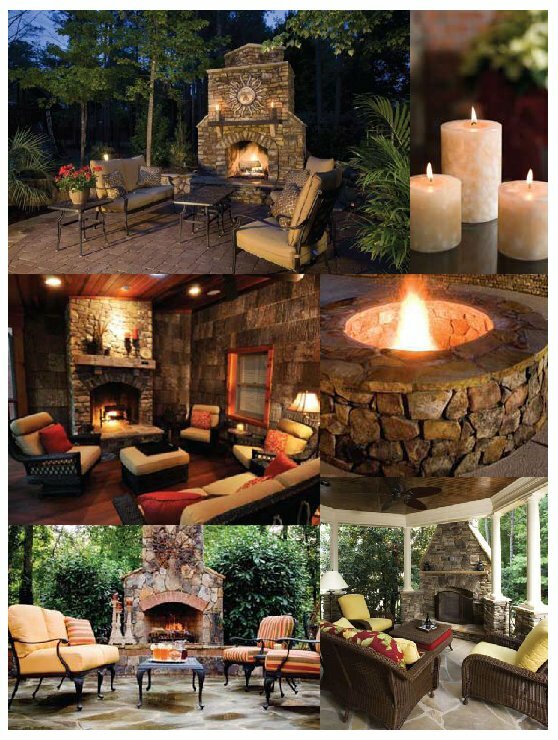 It’s easier than ever to relax with family and friends around a beautiful fireplace that sits under the stars in your own backyard. About Lee F. Mindel: He plays it straight, giving the street the kind of Colonial structure that’s typical of the neighborhood. The Modernist architect acknowledges local tradition with a respect free of irony. To learn more about Lee F. Mindel visit architecturaldigest.com.